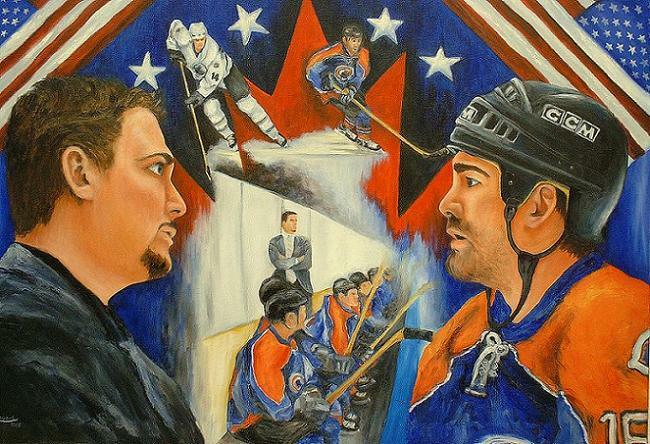 Andrea Lavoie brings her love of hockey and painting to another level with this series of paintings. 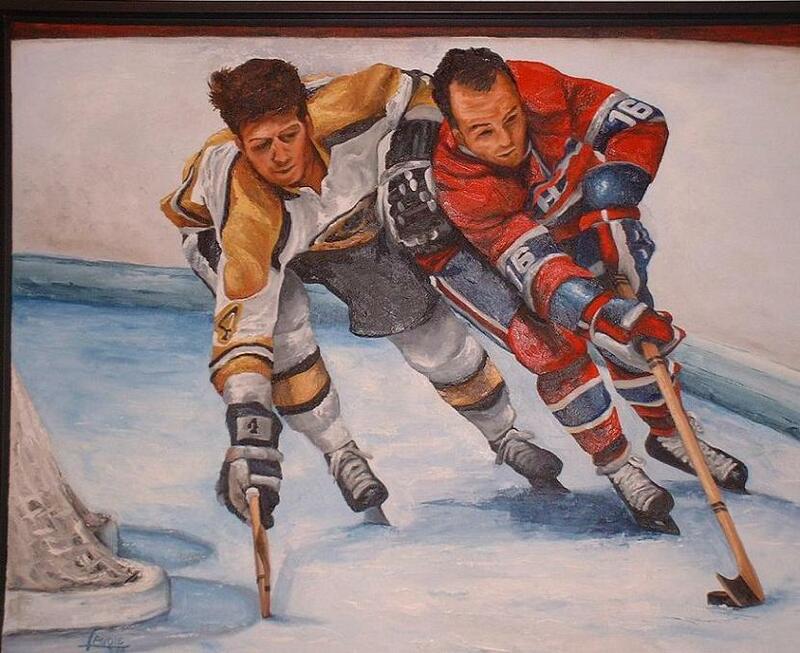 Andrea, in this painting, denotes the power, grace and speed that a hockey player must display with his skating skills to attain the highest echelon of the sport. Serge Savard, the inventor of the ‘Savardian Spin-o-rama’ and nicknamed the ‘Senator’ for his penchant for politics, exemplified perseverance in the face of adversity. Early on during his career he suffered debilitating ankle injuries that forced him to change from finesse/power to a thinking man’s game. He would win seven Stanley Cups as a player and two as the general manager of the Montreal Canadiens. Serge Savard, l’inventeur du ‘spinerama savardien’ et surnommé le sénateur en raison de son penchant pour la politique, était un exemple de persévérance face à l’adversité. Très tôt dans sa carrière, il a souffert de blessures aux chevilles qui l’ont gravement affaibli, et l’ont forcé à changer son jeu puissant tout en finesse pour un jeu plus cérébral. Savard dura gagné sept coupes Stanley en tant que jouer, et deux en temps que directeur général du Canadiens de Montréal. Does there exist a more ardent rivalry than the Leafs and Canadians? The lines are clearly drawn between the two camps; English/French, Ontario/Quebec. 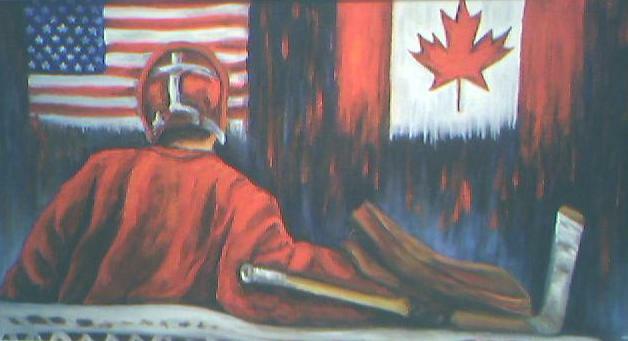 Such emotional battles would seem to have historical significance, dating back to the conquest on the Plains of Abraham. Existe t-il une rivalité au sport aussi ardent que les Leafs et les Canadiens? Ces confrontations ont une allure historique. Les camps sont divisés sur des axes très émotifs; Anglais/Français, Ontario/Québec et même à des instants on se voit revive la conquête des plaines d’Abraham. Dryden was a different breed of athlete, a rare combination of principle, intelligence and integrity. He decided to purse his education at Cornell University where he earned his Bachelor of Arts degree forgoing an early entry into the NHL. The year 1971 would indelibly etch Dryden’s name in the minds of Canadiens’ fanatics. His brilliant play during the playoffs drove the underdog Canadiens to the Stanley Cup. In 1973, Dryden once again showed that he marched to the beat of a different drummer. He retired temporarily from hockey to pursue his law degree. 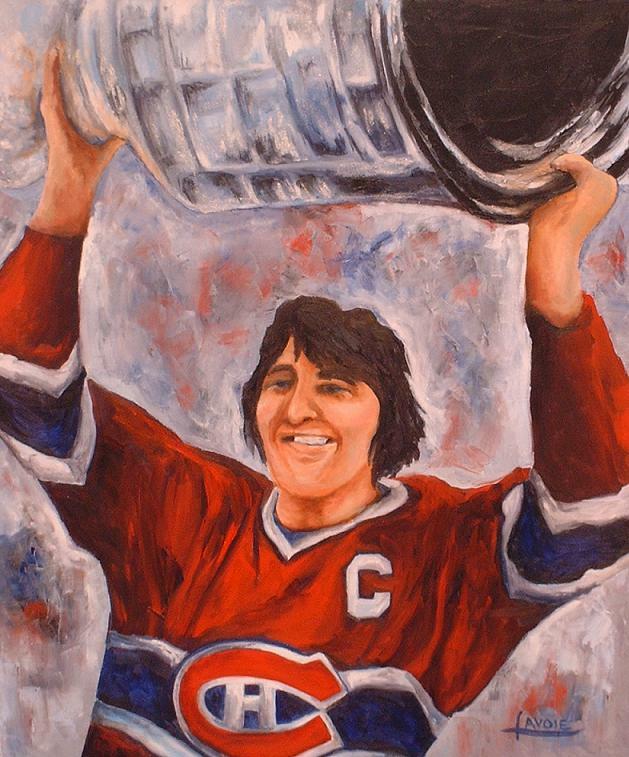 He would return to the Canadiens for the 1974-1975 season and would help ‘les Canadiens’ to four more Stanley Cups. He won six Stanley Cups with the Montreal Canadiens in nine seasons. 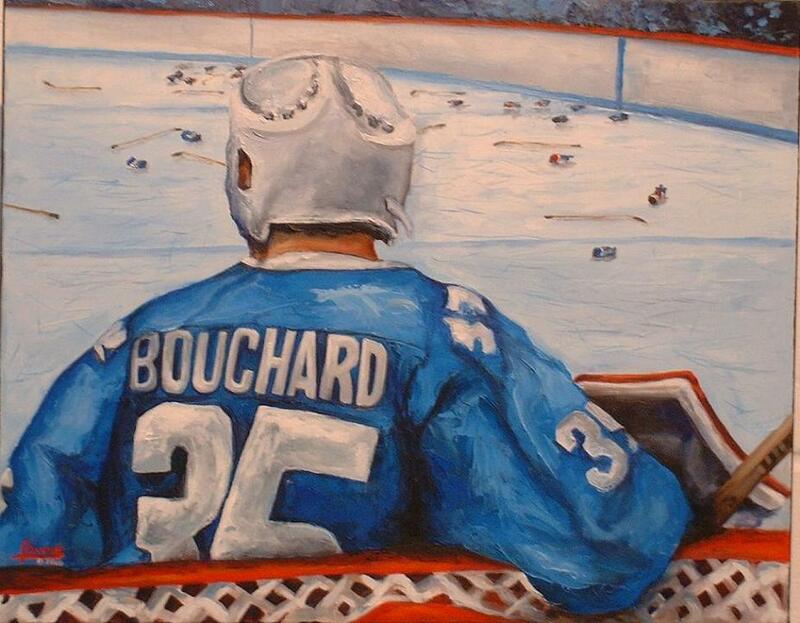 He retired from hockey at the end of the 1978-1979 season and became the ‘Poet Laureate’ of Canadian hockey. Dryden était un athlète d’une espèce différente, une rare combinaison de principes, d’intelligence et d’intégrité. Il choisit de poursuivre ses études à l’Université Cornell dont il devint bachelier ès arts, précédant une carrière hâtive dans la ligue nationale. L’année 1971 allait marquer de manière indélébile. Le nom de Dryden dans l’esprit des fans du Canadiens son jeu éblouissant durant les prolongations a lisse le Canadiens jusqu'à la coupe Stanley. En 1973, Dryden allait démontrer encor une fois qu’il marchait au son d’un autre clairon en décrochant son diplôme de droit. Il retournera chez le Canadiens de Montréal en 1974-75, et les aidera a gagner encore quatre coupes Stanley. Il prendra sa retraite du hockey a la fin de la saison 1978-79 pour devenir le ‘lauréat poète’ du hockey canadien. Dryden a gagne six coupes Stanley avec le Canadiens en neuf saisons. April 20, 1984 – The sixth game of the Adams division finals will go down in history as one of the darkest moments in the Canadiens-Nordiques’ rivalry. 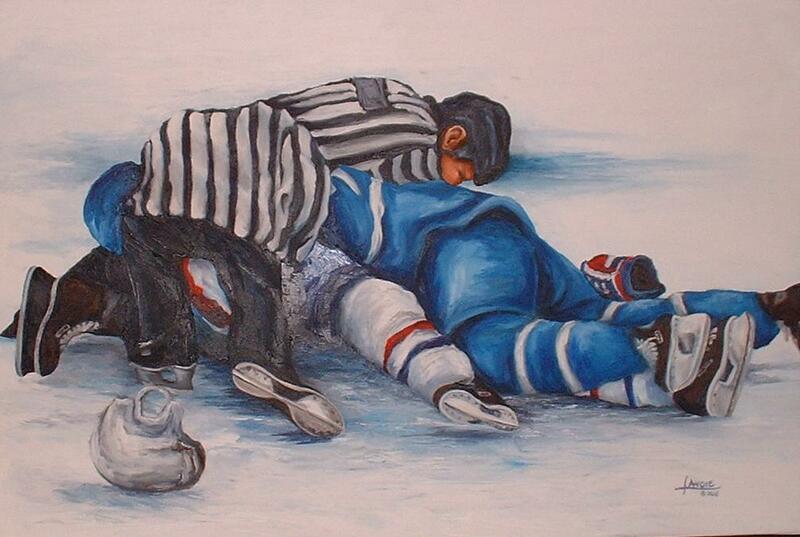 The Nordiques, facing elimination, were leading when both teams embarked on a clash of fists. The bloody battles ensued until fighters dropped from pure exhaustion. 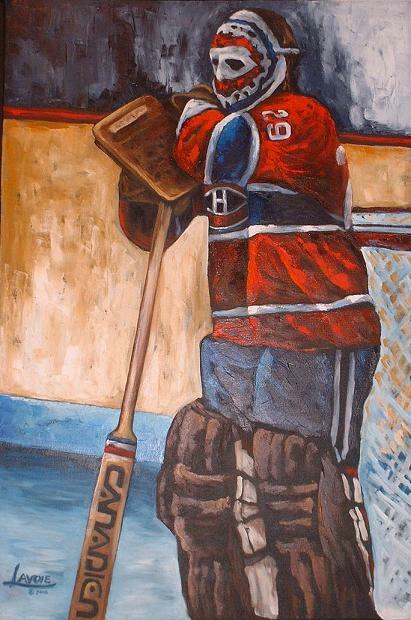 The match played out into the early morning hours with the Canadiens defeating the Nordiques and taking the series. Ironically, this historic event fell on a Good Friday. 20 avril 1984 – Au moment de disputer ce sixième match de la finale de la Division Adams, les Canadiens menaient la série trois victoires à deux. En ce vendredi saint, les Nordiques faisaient donc face à l’élimination. La rivalité québécoise s’apprêtait à connaître ses moments les plus fous et les plus sombres de sa courte histoire. Bobby Orr and Henri Richard do battle for the puck in a game at Boston Gardens in 1968.